Extra virgin olive oil: virgin olive oil with no organoleptic defects, which has a free acidity, expressed as oleic acid, of not more than 0.8 grams per 100 grams, and the other characteristics of which correspond to those fixed for this category in the IOC standard. Virgin olive oil: virgin olive oil with light organoleptic defects (as rancidity, fustiness, etc. ), which has a free acidity, expressed as oleic acid, of not more than 2 grams per 100 grams and the other characteristics of which correspond to those fixed for this category in the IOC standard. Lampante virgin olive oil: virgin olive oil either with strong organoleptic defects (as rancidity, fustiness, etc. ), or which has a free acidity, expressed as oleic acid, of more than 3.3 grams per 100 grams and/or the organoleptic characteristics and other characteristics of which correspond to those fixed for this category in the IOC standard. It is intended for refining or for technical use. Therefore, all these three different oils are totally natural, as they are « a juice of olives ». But to understand which kind of oil it is, we need both chemical and organoleptic exam (panel test). What is « Olive Oil » then ? Even if most of the people think that Extra Virgin Olive Oil and Olive Oil could be quite the same thing, the first one, as we said, is a natural product coming directly from olives without any chemical process, while the Olive Oil is the result of a refining method, which removes colour, odour and flavour and leaves behind a form of olive oil that is tasteless, colourless and odourless. This liquid will be mixed afterwards with a very small percentage of Extra Virgin or Virgin Olive Oil and will be sold as Olive Oil. PAY ATTENTION TO THE LABEL! Pay attention to the provenance of the oil: even if the producer is Italian, the oil could be originate from Spain or Greece, or from North of Africa. How to know that? If the provenance on the label is European Union, that means that the oil is not Italian, but Spanish or Greek. If the provenance is Extra European Union, that oil comes from Morocco or Tunisia or another country in North Africa. 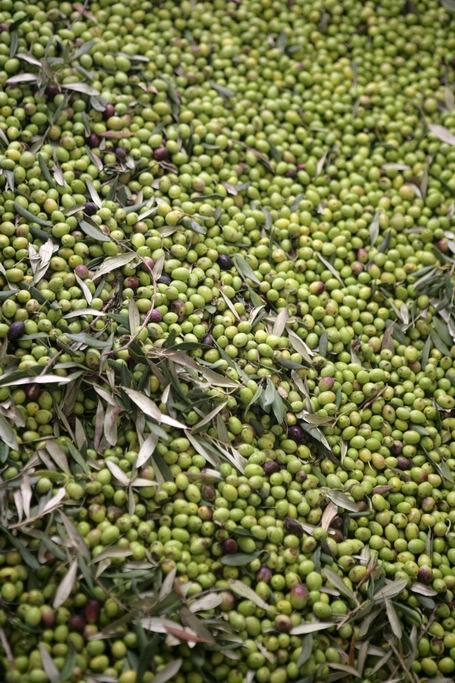 When the origin is Italian, the label has to mention the following: Oil produced in Italy from olives grown in Italy.